The Sabina II Lifting machine accommodates a wide range of users with its highly adaptable and height adjustable design. 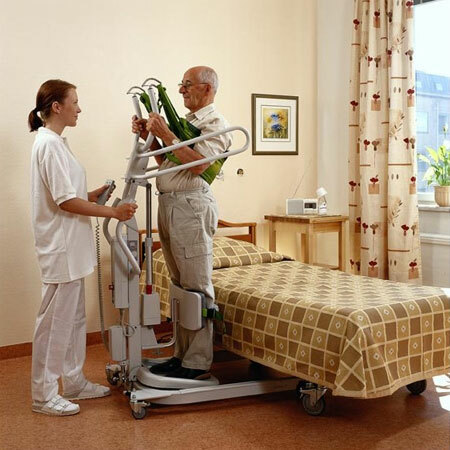 With functions including stand up hoisting and regular lifting, the Sabina II lifting machine also has specific slings and slingbars available to suit individual needs. It is electrically operated with a slip resistant foot platform, adjustable padded knee support with calf strap and range of spreader bar attachments.